Mary Poppins Returns: Movie Clip - Mr. Dawes Jr.
Mary Poppins Returns: Movie Clip - Can You Imagine That? Looking for movie tickets? 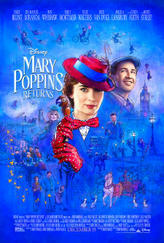 Enter your location to see which movie theaters are playing Mary Poppins Returns (2018) near you.